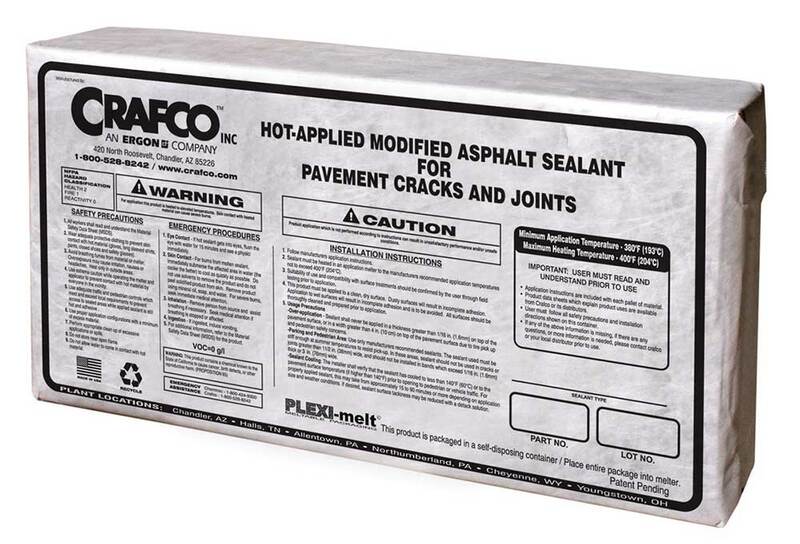 Crafco PLEXI-melt packaging is an exciting new development for box-less, consumable packaging of hot-applied pavement crack and joint sealing products. The package consists of the extremely strong and durable yet quick melting PLEXI-melt wrap, which contains and protects the sealant material. The PLEXI-melt packaging is the lightest, most sustainable available, weighing only 3 ounces (less than 1% of product weight.) 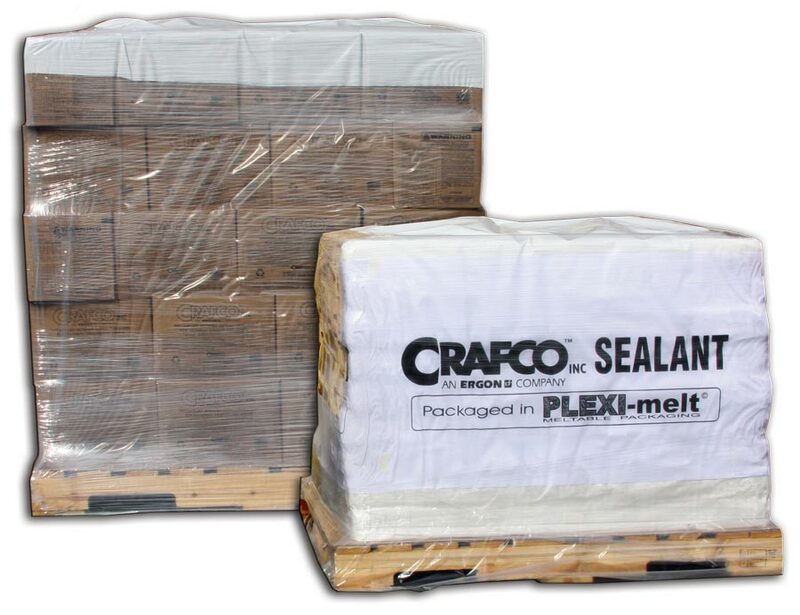 PLEXI-melt products are much easier to handle and melt much faster than with conventional sealant block configurations, and are weather and water resistant. PACKAGING DETAILS Package weight 25 lbs ea. 80 packages per pallet Pallet weight 2000 lbs. net.